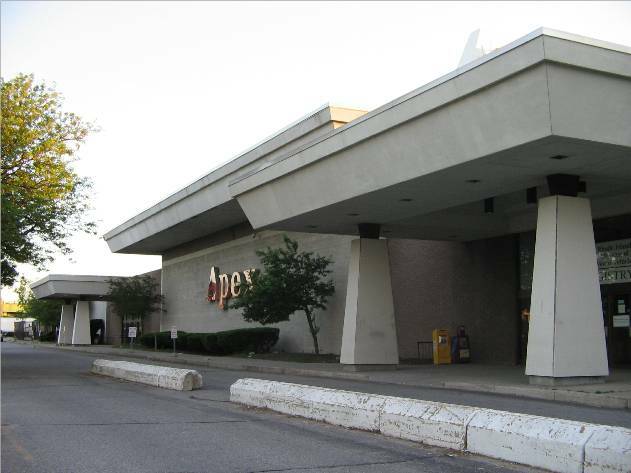 Apex Department Stores are a small chain of department stores in the Providence metropolitan area that were mostly shuttered in 2001. 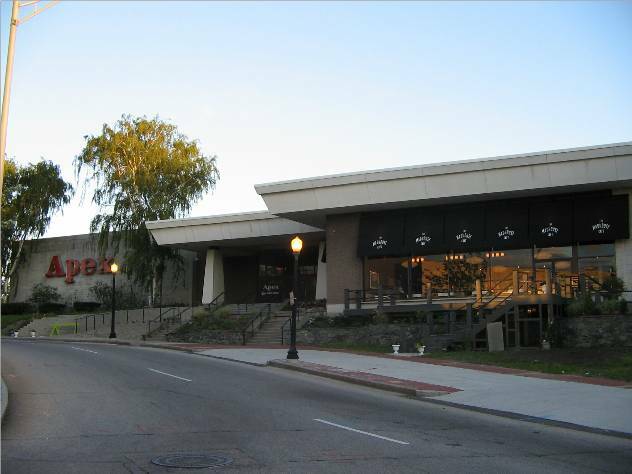 They had only three locations: this one, in Pawtucket; a similar but slightly less-remarkable store on Route 5 in Warwick; and a more standard boxy store at the Swansea Mall in Swansea, Massachusetts. Beginning as a tire retailer and growing into a Sears-styled mid-range department store in the true, old-fashioned sense, they downsized aggressively at the same time as Ann & Hope, Bradlees, and Caldor were all closing or downsizing. 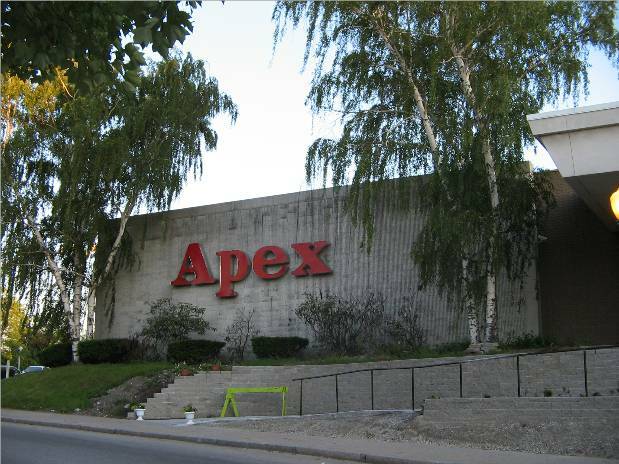 While the Warwick and Swansea stores closed in 2001 (and the Warwick store was demolished recently), the bare-bones version of Apex continues to operate both online and in a portion of their Pawtucket store. 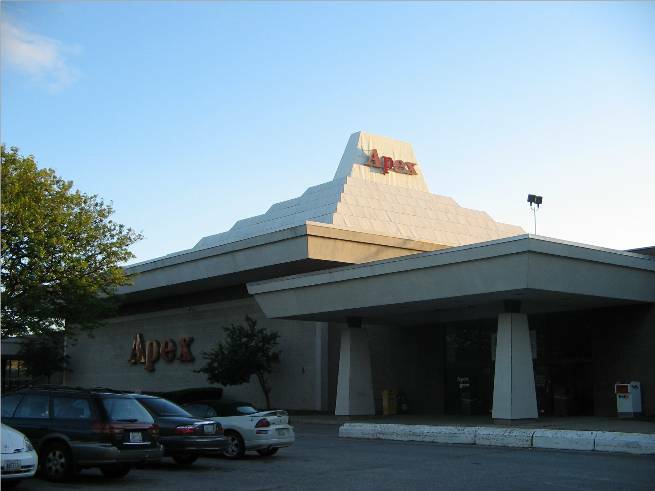 The entire Phoenix article, along with many more photos of the Apex building that are somewhat artier than my own, are available at the excellent Art in Ruins website, which chronicles historic structures (including modern ones) in Rhode Island. This store is still my favorite. 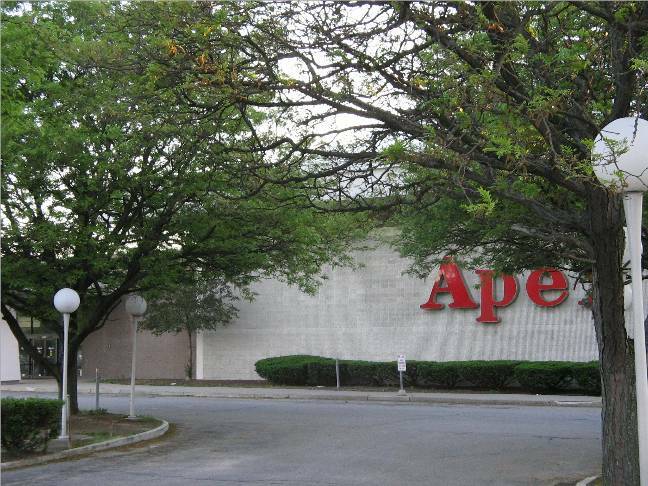 Growing up in the 70’s and 80’s in Pawtucket, this was the store to go to. Especially since I lived about an 8 minute walk away from it. 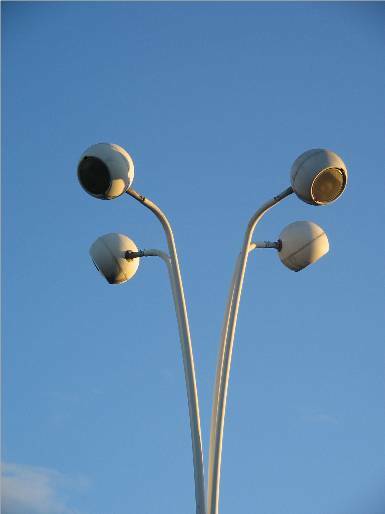 Iconic building, large amount of parking and great selection. Somewhat sad to see to see it and it’s other contemporary (Ann & Hope) gone. I was here yesterday. I had always driven by it on my way to Narragansett during the Summer when I was a kid, but had never been in before. It’s very strange. Not a soul was in there, the parking lot was completely empty, but they were still selling jackets and clothes that cost $200 +. There were some very old electronics for sale, including a microwave that had to date back to the late 80s at best. Bizarre. I wonder if it’s like some well-known retailer (think Montgomery Ward) closed up all of its stores except one. 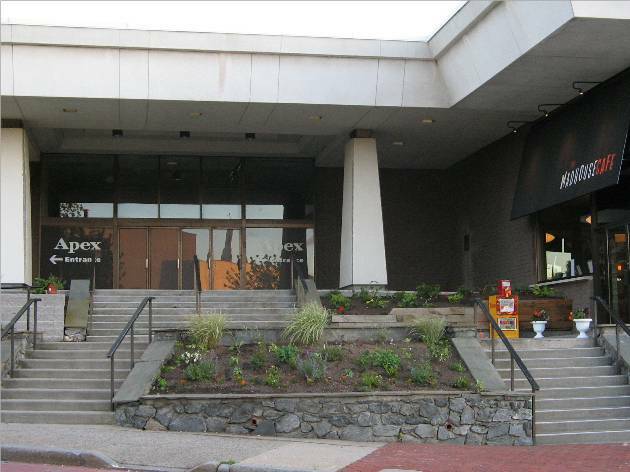 I worked at the Warwick Store back in the late 80’s in the furniture dept.I heard they tore that store down. You can see it on Google Maps. I haven’t been to R.I. in over 9 years, I miss some parts but I ‘ m glad I left, although it would be interesting to return to see how much R.I has changed and visit some old friends and my sister. The Warwick store closed in 2001 I believe, but the building remained for a while. 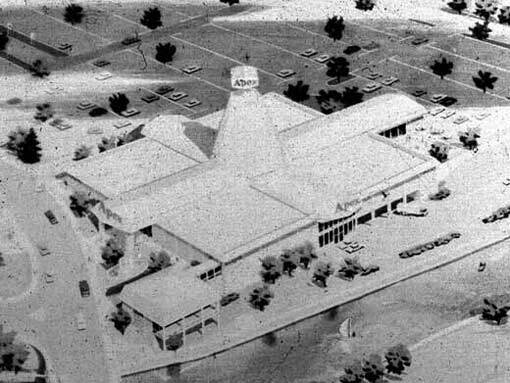 My favorite restaurant, “the Tomato Vine” was in the carousel looking section with the pyramid roof up until 2005 or so maybe? 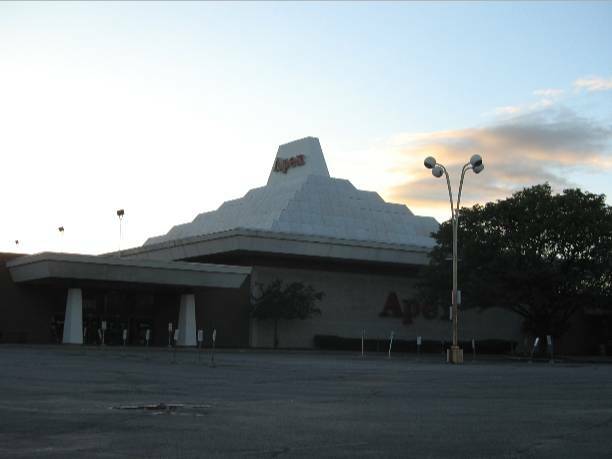 I loved that place, it’s too bad they couldn’t find a new spot when they decided to knock down the whole plaza. Now it’s a Lowes and Stop & Shop plaza. there before the Tomato Vine? We have been trying to think of it……………………..blank!!! 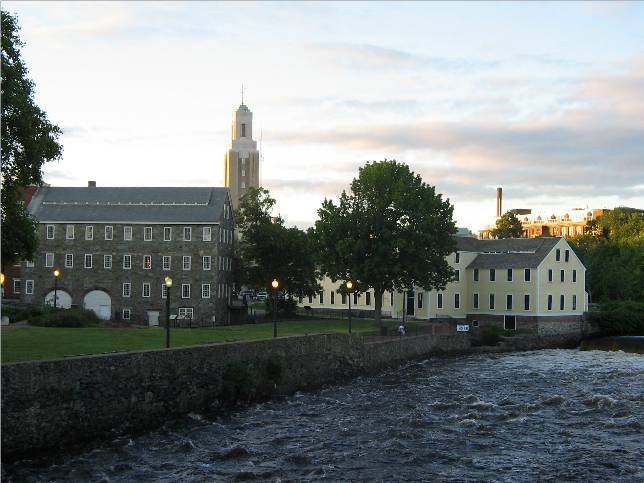 are you thinking of Newport Creamery? They were there a long time. As a long time resident and constant dreamer I am amazed that this mall has not flourished. There is so much potential for this area. If only it would return to being an entertainment venue. 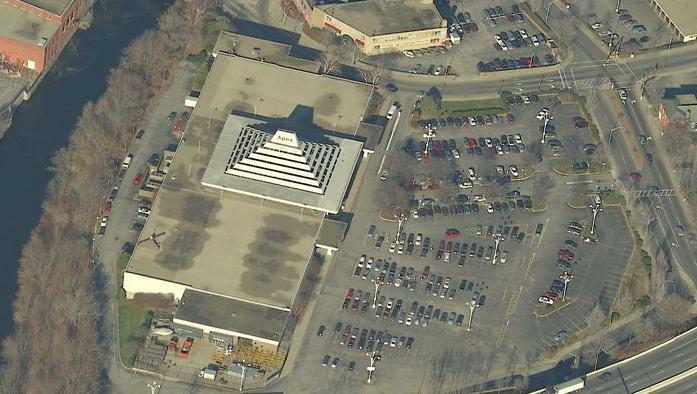 For example, can you imagine a Daves and Busters like the one at Providence Place Mall being placed here. With CCRI next door and the local youth looking for something to do, I feel this is a gold mine. I don’t understand the lack of vision. If I ever win the Powerball this would be one of my first investment considerations. giant robot there.A big brass colored Colossus that some how guessed my name.This was only 2 days after seeing “The Day the Earth Stood Still”.